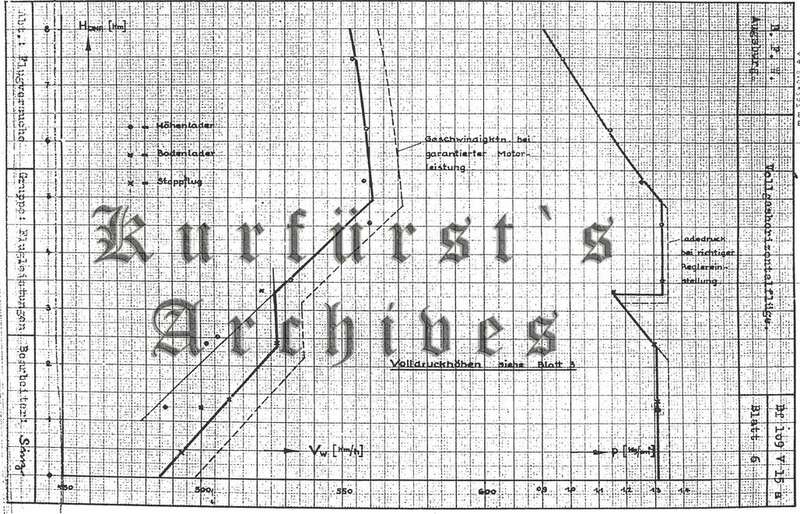 Kurfürst - Swiss level speed results for Bf 109E-3, WNr. 2404, J-347 with Escher-Wyss and original VDM propellers. Swiss level speed results for Bf 109E-3, WNr. 2404, J-347 with Escher-Wyss and original VDM propellers. The below flight test was performed on Switzerland`s Bf 109E-3, WNr. 2404, designated 'J-347' in Swiss service. It was powered by a DB 601Aa engine, WNr. 10 912. The aircraft was delivered on 16 October 1939. On 4 November 1941, the aircraft was flight tested with Escher-Wyss propellers and compared to the performance with it's original VDM propeller. At the start of the test, the aircraft had already flown 111 hours and 16 minutes. J-347 was declared unfit for service on 20 November 1946, after 324 hours and 29 minutes of flying time. Engine : DB 601 Aa, serial no. 10912. Comparison of the avarage values. Unfortunately, little more detail is known about the test itself. However, some observations can be made regarding the results. The engine powers are not specifically noted, but the 'Vollgas' should refer to the maximum, 5-minute Kurzleistung, or Short duration power of the DB 601Aa engine, ie. 1.35ata manifold pressure, 2400 R.P.M. 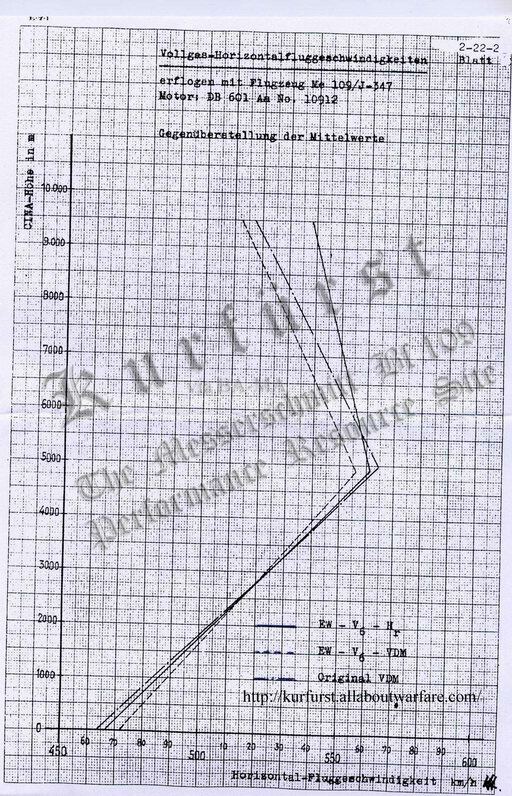 Comparison of the speed results with Bf 109E prototype V15a's test report show remarkable similiarity in the top speed achived at altitude with the original VDM propellor of J-347 (572 vs. 564 km/h at rated altitude), especially when taking into account that J-347 already saw considerably use. However the low level speeds diverge greatly (498 vs 464 km/h at 0m altitutude). However the low-level performance of V15a with the Höhenlader (high altitude supercharger speed, or 'F.S gear' in British terms) shows good agreement with J-347 at both high- and low altitudes. This would suggest that J-347`s level speed results were achived with the Höhenlader in operation, and the appropriate Bodenlader (low-altitude supercharger speeds, or 'M.S. gear' in British terms) was not used to record the results, therefore full performance of the aircraft was not reached below ca. 3500 meter altitude. Unfortunately, more details of this test is not known at present. If you have additional information or parts of this report, please contact me. 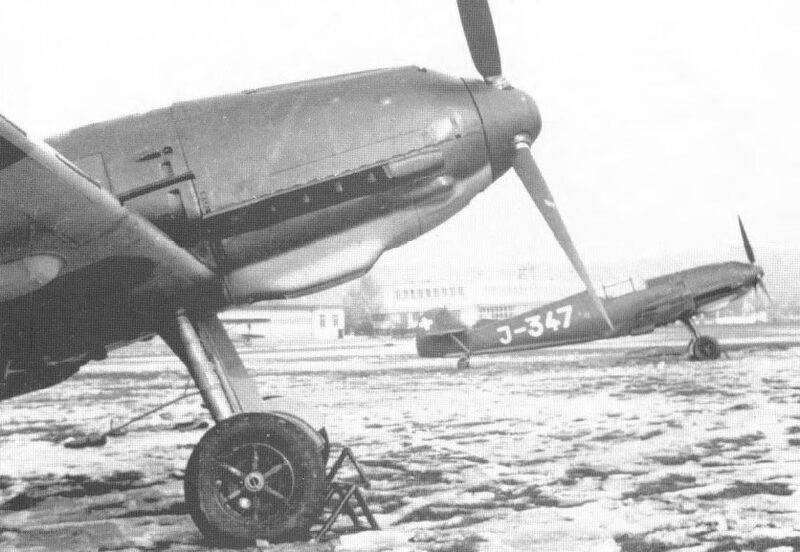 Philippe Osché - Hors Série Avion No 4, Les Messerschmitt 109 Suisses. Lela Presse, 1996. ISBN : 2-914017-31-6. Last updated 25 February 2007.